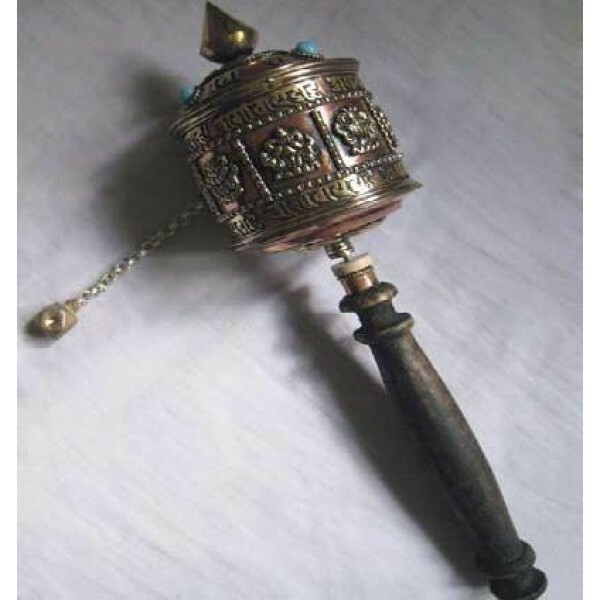 Cupper prayer wheel with Astamangal (eight auspicious signs) is a rich handcrafted item of Nepal. Astamangal signs are patch-work at the center and Om Mani Padme Hum mantra written on top and bottom of the cylinder. The approximate measurement of cylinder’s height and diameter is 7.5 cm and total length from Gajur to the bottom of the handle is 30 cm. Since the product is handmade, there can be slight variation in size and weight.